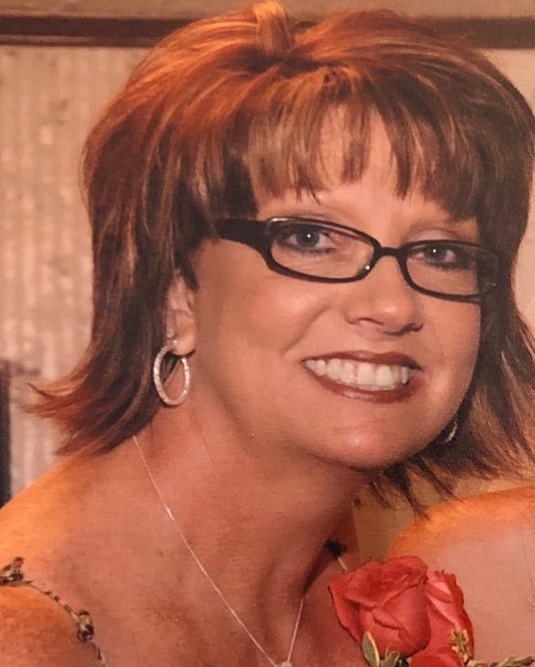 Nita Jo Humphreys - Our beloved Nita, 55, of Moore, went to be with her Lord and Savior, Saturday, March 30th, after a courageous and fearless battle against cancer. She was born August 27, 1963 to Billie and Vearl Lingle. She was raised in Tuttle, OK and moved to Moore in 1992 where she resided for 27 years. She married her high school sweetheart and love of her life, Richard Humphreys on September 16, 1982. Nita enjoyed working as a deli manager at Food Lion for four years. She worked in an administrative position at Dean McGee Eye Institute for over ten years. She then ended her career as an office manager for John Brown with Shelter Insurance. Nita was known for her deep love for her family and friends. She enjoyed spending time with her children and grandchildren any time she could. She loved being outdoors, traveling, and going to the lake. She also had a love of flowers, especially orchids and roses. She was surrounded by loved ones leading up to her death and Nita would not have had it any other way. She was preceded in death by her mother, Billie Denison, father, Vearl Lingle, and two brothers, Audie Lingle and Randy Lingle. She is survived by her husband, Richard, of the home; two daughters she deeply loved, Lyndsey Grooms and husband Brent of Moore, Brittney Cagle and husband Tyler of Moore. She also leaves 3 grandchildren, Rylan, Mason, and Emberly; niece, Amanda of Yukon; brother, Tim Lingle and wife Connie; brother, Jeff Lingle and wife Teresa; sister, Lori Denison and husband Tom; sister, Susan Phillips and husband Bob; several nieces, nephews, cousins, and many wonderful friends. Services will be held Wednesday, April 3, 2019 at 3:00 PM at Moore Funeral and Cremation, 400 SE 19th Street, Moore, OK with Oklahoma Highway Patrol Chaplain Sam Garner officiating.